When someone gives you an unexpected referral to a friend or colleague, what’s your next step? It happened the other day. I was meeting with a potential new client discussing my business and his so we could have an understanding of whether there is an opportunity to work together. Then he said: “You should get to know Successful Susan at the Nice Company.” (names are fictitious of course) This took me by surprise. I regularly ask for referrals at the conclusion of a successful project, but to get one out of the blue at a first meeting surprised me. So what to do when the unexpected referral happens? The same thing you do when you ask for a referral. Get more information. Why does the client think the referral can use my product or service? What is the relationship between the client and the referral? What is the referral’s phone number and email address (or be “techie” and ask for the vCard)? These are the basic questions. The must-have clincher request is to ask the client if he would be so kind as to phone the referral and introduce me. And the best time for that call is right now. Now it’s up to me to do the rest. 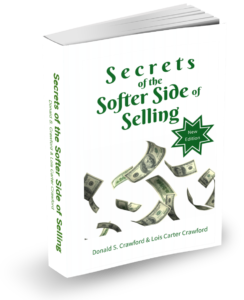 To learn more sales secrets see Secrets of the Softer Side of Selling. 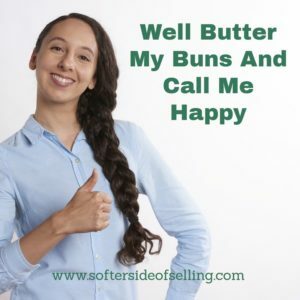 For even more sales help, join our FREE Sales Club! “See” you next week.